West Papua faces the highest HIV prevalence rates in Indonesia, 15 times the national average, and the epidemic is fast growing. Although the indigenous population is particularly affected, the government fails to address cultural factors that influence HIV transmission, and ignores Papuan expertise. West Papua, comprised of two provinces in eastern Indonesia, is home to the fastest growing HIV epidemic in the Asia Pacific. 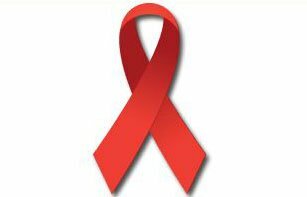 The HIV prevalence rate is 15 times what it is nationally in Indonesia. Approximately 2.5 per cent of the indigenous adult population, and 3 per cent of indigenous youth aged 15–24 are officially recorded as having HIV, though researchers believe that actual rates are much higher. The epidemic is mainly affecting indigenous Papuan youth. Current responses to the epidemic are dogged with problems. For instance, in Manokwari, the provincial capital of West Papua province, the Preventing Mother-to-Child Transmission of HIV program is very basic. It does not address any cultural factors, such as women’s and men’s high levels of mobility, the difficulty of disclosing HIV status amid fear and stigma, or women’s reticence about caesarean section (the mode of delivery that is often recommended for HIV positive mothers as a last ditch attempt to prevent transmission). The program thus fails to attract many Papuan women as clients, and its services are largely inaccessible to the 70 per cent of the population that live in rural areas. Inaccessibility is not the only concern. Contemporary West Papua is a site of both covert and overt struggle. The region is splintered by ideological, cultural and material conflict. Unsurprisingly then, the HIV epidemic and responses to it have been thoroughly politicised, though the Indonesian government refuses to accept that political conditions are relevant to HIV. A critical example of this politicisation of HIV is that Papuan expertise has been largely ignored in the response to the epidemic. Although there are Papuan actors in the HIV response, some of their successful education paradigms have been pushed out by donor models that put too much emphasis on achieving outreach and testing targets as a measure of effectiveness. In other instances, Papuan HIV workers may be passed over in favour of Indonesians who are perceived to have better administrative skills, which service providers need to survive in the current audit culture. There are some notable exceptions. In Wamena, the main city in the central highlands of Papua province, Papuan ideas, expertise and leadership have been leveraged in positive ways. Klinik Kalvari is an indigenous-run clinic that is unique in West Papua and operates according to its own standards of appropriate care for their indigenous clientele. The clinic employs local staff who can communicate in local languages. It has a nurse who greets people at the door, and shakes hands in line with local cultural norms. Prayer support is available. These may not seem like profound innovations but they represent an enormous improvement on what typically goes on in the Indonesia health system. Unfortunately, Wamena is the main HIV service centre for perhaps more than 450,000 people from the central highlands area who do not have access to HIV testing and treatment in their home districts. Transportation links are inadequate and expensive, so many people do not access testing or treatment at all. And for those who do, Wamena’s services are already stretched beyond their limits. Besides rural service delivery and problematic donor paradigms, there are other policy dimensions to consider. Central and local governments maintain tight controls over the actions and funding of NGOs. While international donors may be interested in supporting a local response, Papuan-led NGOs might be hampered by conservative political elements in Jakarta or in West Papua precisely because their organisations promote indigenous expertise and authority over Indonesian leadership. Indigenous NGOs play a vital role in Indonesia’s efforts to combat the HIV epidemic, but as international donors are directing more attention and funding to West Papua, they are primarily working with government agencies — whether by choice or by compulsion. Unfortunately, government agencies have so far failed to provide effective leadership. What is needed is a West Papua-wide HIV strategy that draws on local best practices, Papuan leadership, and the strength of civil society organisations in the region.